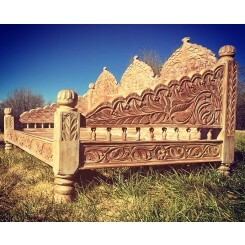 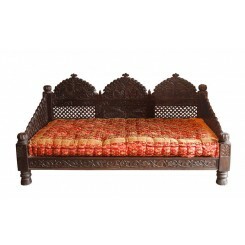 Inspired by the Rajasthani swings of the Maharaja's court, the carved Jhula Daybeds are hand crafted from solid Indian Neem wood of the Mahogany family. 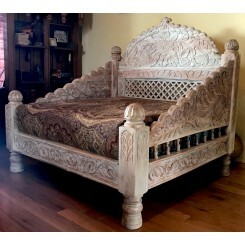 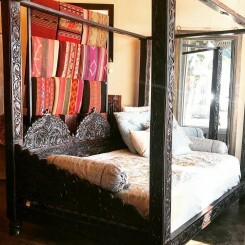 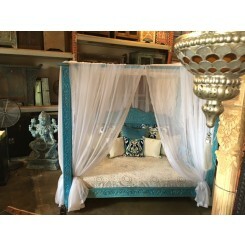 The 4 poster Jhula Canopy Daybeds, with solid thick beams and a carved arch back, are a marvel of craftsmanship. 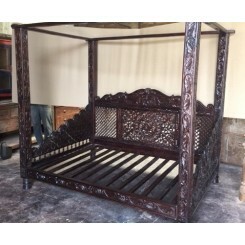 The wooden Plantation Day Beds are fashioned from solid Indian white Rosewood, with a simple slated back and clean lines inspired by Assamese tea plantations in East India. 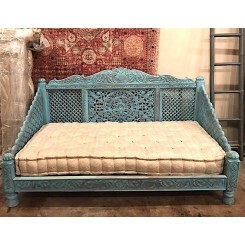 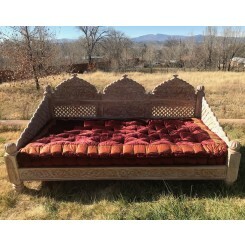 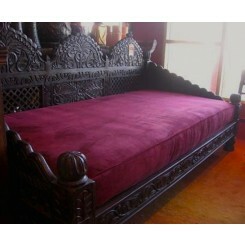 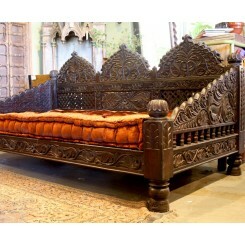 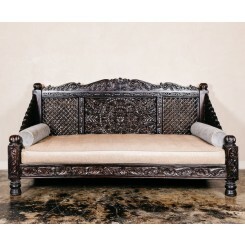 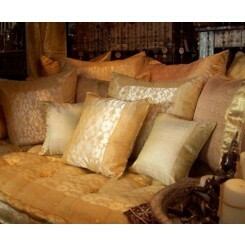 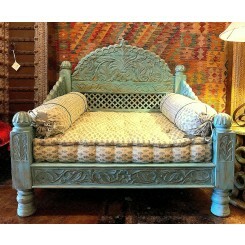 Accentuate the daybeds with rich velvet mattresses bordered with Indian style ornate trim.